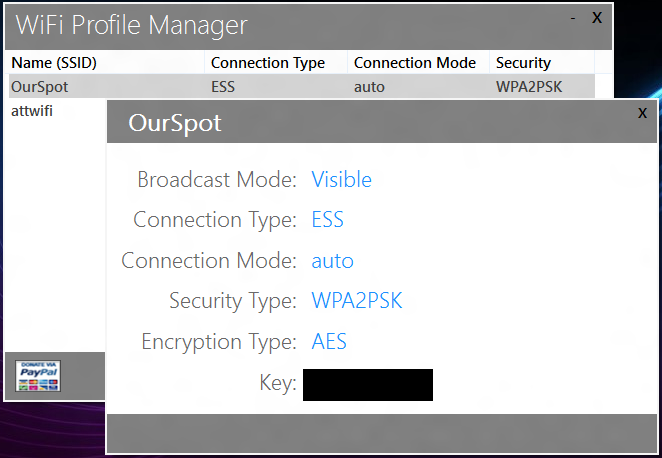 Everyone knows that the interface for wireless profiles in Windows 8 & Windows 10 have been frustratingly dumbed down. Unless you like using command line tools like ‘netsh’, this is a little frustrating. 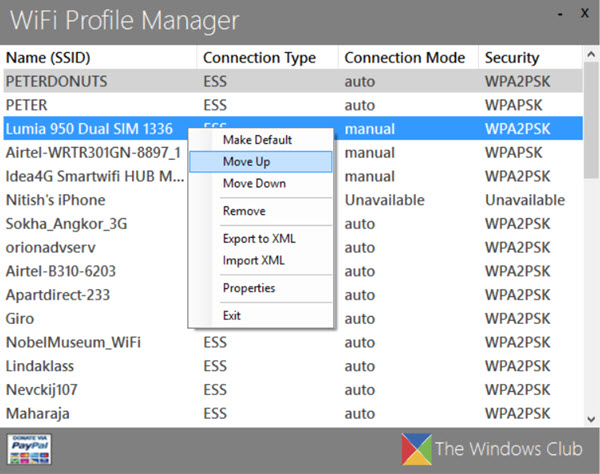 By right mouse clicking on a profile you can change the connection order, view the configured WiFi key/password, remove the profile, and set the network as the “default”.